The Baron de Sigognac company is owned by the Guasch family and is based in the village of Catelnau d'Auzan in Gascony. Their vineyards of Ugni Blanc (75%) and Baceo (25%) are dedicated exclusively to the production of Bas Armagnac. The family have been in Gascony since the 12th century and have owned the château at Bordeneuve since 1974. Today the estate is run by the father-and-son team of Jean-Claude and Thomas who supervise production at the 30 hectare estate. The Domaine is unique as all its production is distilled into armagnac instead of wine, with its ancient short column still producing up to 60 casks of new spirit annually. Each year's production is aged independently and then blended with other armagnac upon bottling under Jean-Claude's strict supervision. 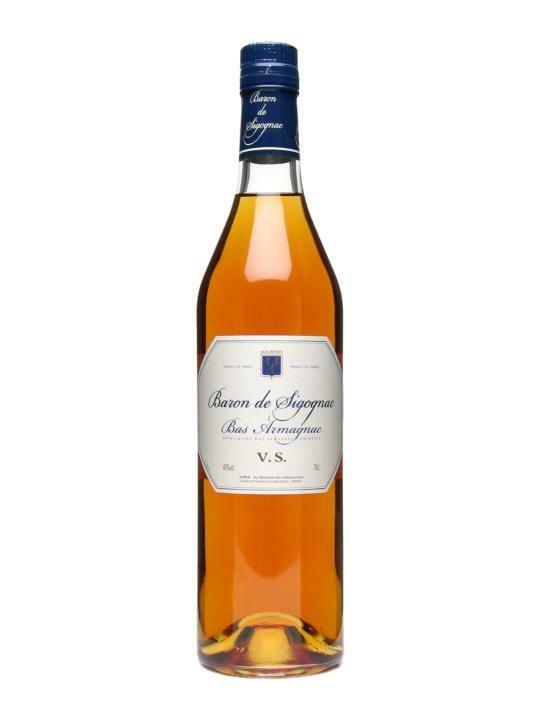 The Armagnac VS is aged for more than 3 years in cask and is rich and floral making for the perfect digestif.